Some of you may be familiar with Jeffrey B. Rogers, some of you may not. 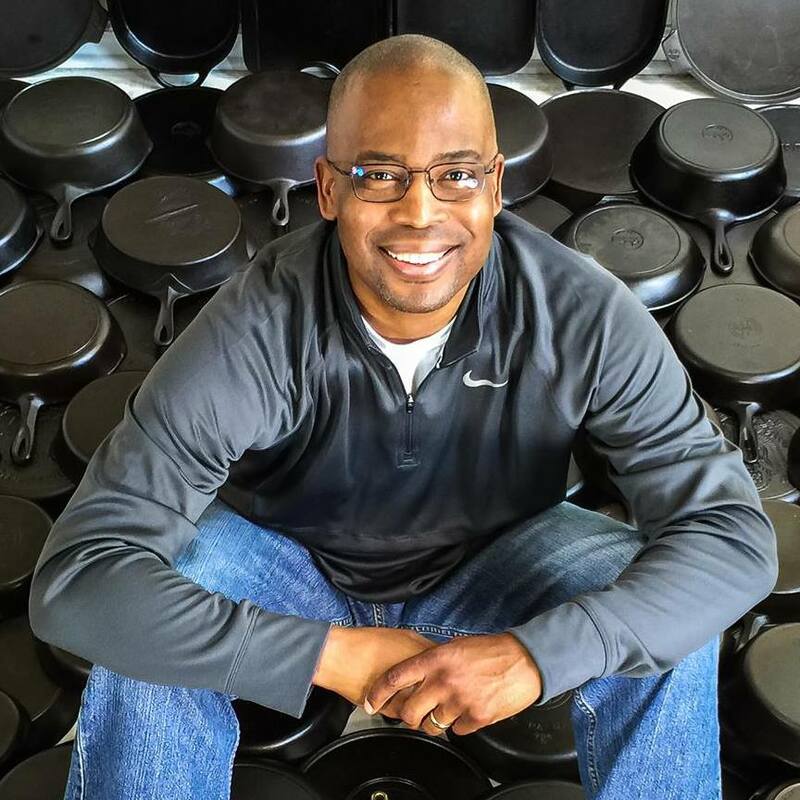 He's known in most circles as The Culinary Fanatic, and he's a pretty well respected authority on cast iron cookware, old and new. Jeffrey's collection of cast iron is vast, and I was really pleased to see his wonderfully thoughtful review on our 9" Skillet. Jeffrey hit on every point that I had in mind when I designed this pan. He started off speaking about the handle - spending a moment on its visual appeal, giving more time to its winning function. The sculpt itself and its pleasing form in the hand - the length and fork of it, adding to an ability to cool faster - and the brass D-ring, a feature put in purely for function, but without sacrificing the aesthetics. He touched on the smooth surface and excellent seasonability, as well as it's reasonable (but not overwhelming) heft. And in his comparisons to other pieces in his collection, he stated that the Nest 9" Skillet is a winner when it comes to comfort. "...beautiful, functional, well-balanced, and best of all, uniquely different." You can read his full review and see the full spread of images here!